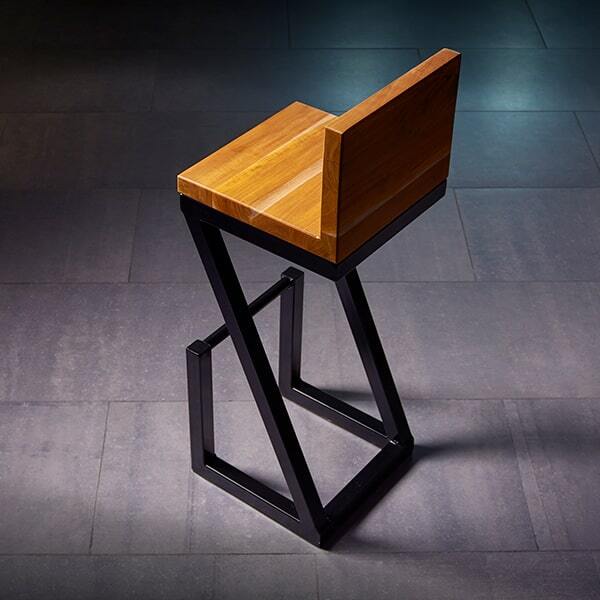 The GZ Bar stool is designed based on ergonomy and geometric shapes, sometimes it will invoke the art of Origami. 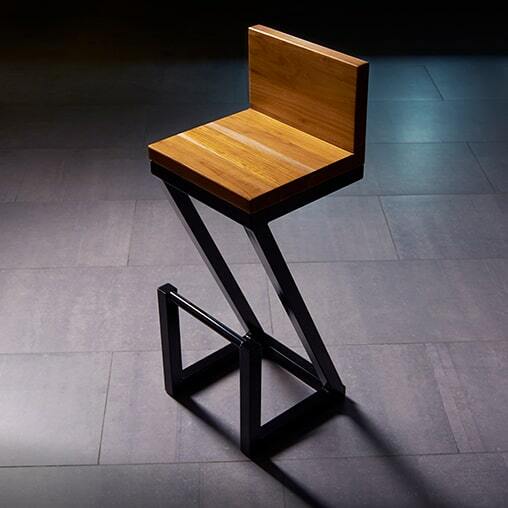 Special for bar counters, this stool will give to your space the elegance you are looking for. 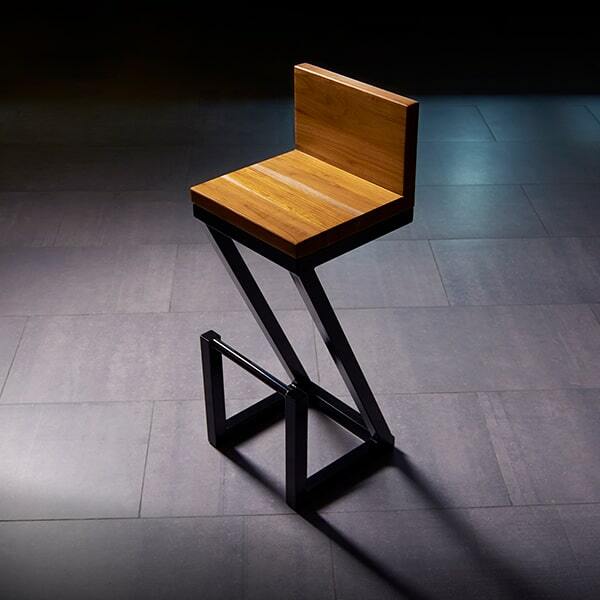 This bar stool combine the warmth of wood teak with the cold of iron, this contrast that stands out its minimalistic style.